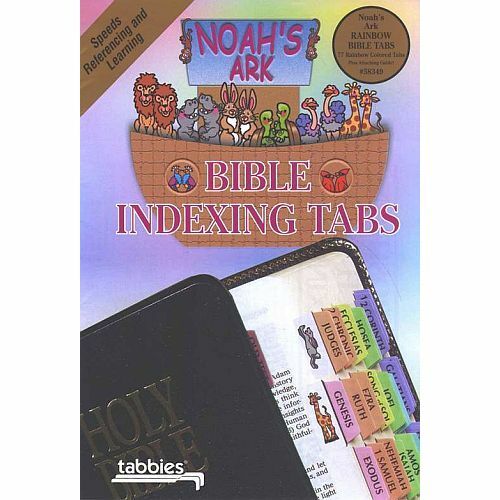 These Noah's Ark Bible tabs have beautiful rainbow colors. 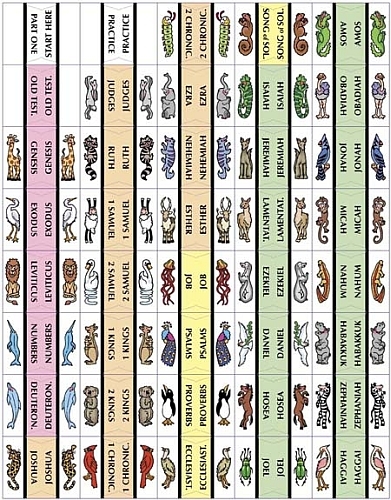 Each tab shows a different animal abd the corresponding Bible Book name. 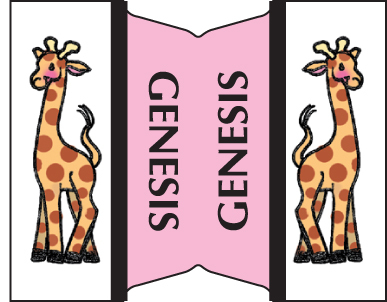 These Bible accessories offer a fun way to introduce children to the Bible. These pre-cut tabs are 1" long and fold to 1/4" extension from page. They are cut to size, require no cutting or inserting and are easy to attach to Bible pages. The transparent gripping edge helps prevent page-tearing. 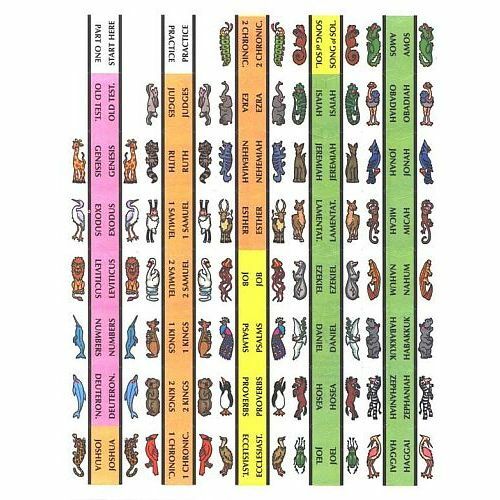 The tabs are printed on both sides & are laminated. They include a handy, easy-to-use tab attaching guide. 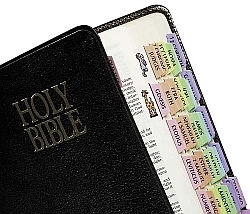 Tabbies Brand™ These would be nice with First Communion Bibles. Bible Size: Fits Bibles with height from 7" to 12"